The Iowa Supreme Court says a former Fairfield man does not deserve a new trial on his murder conviction. Tyler Webster was found guilty of second-degree murder in the shooting death of 32-year-old Buddy Frisbie in August of 2012. Webster appealed the conviction saying one of jurors was biased because she liked a comment on Facebook posted by Frisbee’s stepmother. He says the same juror failed to disclose she was good friends with Frisbee’s stepsister, and talked about the case at a local store. The Iowa Court of Appeals sided with Frisbee and ordered a new trial. 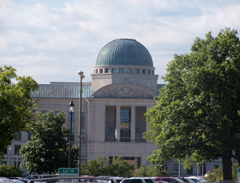 The Iowa Supreme Court found the juror’s connection to the stepsister and discussion in the store did not impact the verdict. The high court also ruled the “like” of Frisbee’s stepmother’s comment on Facebook “only showed a degree of empathy for a grieving stepmother who lost her son.” The ruling says if the court disqualified jurors because the showed empathy for the family of crime victims, they would have no jurors. Justice Daryl Hecht agreed with the court’s ruling except for the issue of the Facebook post. Hecht wrote the evidence establishes the juror and Frisbie’s stepmother were more than casual acquaintances and the juror’s interactions with her on Facebook went beyond mere expressions of empathy.